The Indian Country Economic Development (ICED) program has made a significant contribution since its inception in 2005. This investment continues to receive a return by allowing for the creation and retention of local jobs and the establishment and growth of businesses - allowing dollars to stay in rural economies and multiply. Currently, the ICED program funding must be reapproved by the Legislature every two years, making it difficult for tribes to formulate long-term economic development strategies and projects. 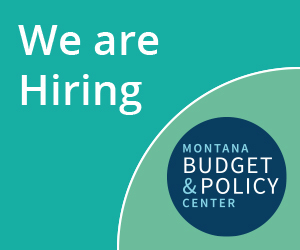 The ICED program funding should be funded as an on-going program in Montana’s base budget. >>>Read our full report on the Indian Country Economic Development (ICED) program.